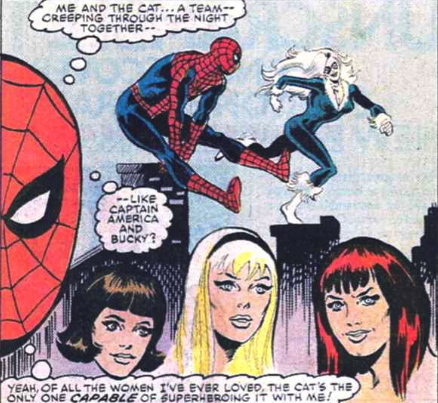 Black Cat was briefly to Spidey was Black Widow was to Daredevil. This could have been something pretty cool, but it doesn’t go anywhere. Instead, she jumps around an alley on her own. Meanwhile, Punisher has been captured after last issue and he goes on trial. Not a fan of seeing him break down like that.